Kathy is the author of "The Art of the Visit: Being the Perfect Host; Becoming the Perfect Guest". She is a speaker, television guest, writer, and lover of all things social. We all experience stress when getting together with friends and family. From advanced planning to handling "guests from hell" Kathy teaches us practical tips and tricks for making those times together the best they can be -- no matter who is coming or for how long! So what makes for successful visits when family and friends get together for dinner, a weekend . . . or a week? With advance planning and honest communication, everything from meals to events will be easy and efficient. Kathy discusses the Essential Qualities all great hosts and guests must possess to stay cool under pressure. Kathy reminds us that "Your real friends are at the table, not on your FB page. Get off the gadgets and into the visit!" So what to do when unfortunately things did not go right? Who reaches out (and how) is part of the art of getting your relationship back on track. Kathy is a traditionally published author, a former newspaper columnist, speaker, and media guest with numerous national newspaper and magazine articles to her credit. Kathy Feinstein is a Licensed Mental Health Counselor who has a special interest in mood and anxiety disorders, grief and loss, and relationship and parenting issues. She is a sports performance counselor. Kathy believes that the mental skills learned through sports have the potential to enhance every person's day-to-day life; at home, at work, and in relationships. Mind training is the key to increased confidence, motivation, concentration and focus which results in peak performance no matter where you are. So often we expend vast amounts of energy trying to control things we have absolutely no control over. What friends and family will say or do . . . the weather, traffic, restaurant lines, all the things that can go wrong. So often we are our own worst critic. Recognize and acknowledge negative self-talk then replace the old pattern with encouragement. Kathy encourages us to talk to ourselves like we would our best friend! Think in advance: there are tools you can use to help in your performance. Prepare to envision the best! Kathy Feinstein is a Licensed Mental Health Counselor, Certified Sport Performance Consultant and public speaker. Her high quality, high energy programs are delivered in a memorable style. 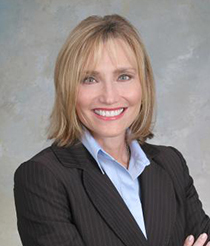 In 2011 the Greater Naples Branch of the American Association of University Women named Kathy a "Woman of Achievement" honoring her for her professional and personal contributions to the community. Marianne Oehser is a Certified Relationship Coach and helps individuals and couples realize the full potential of their relationships. Bio below. Marianne teaches us how to enhance our communication skills to deepen our relationships and empowers us with the tools to communicate effectively. "All people experience differences and difficulties in their relationship. Those conflict situations are really opportunities to understand. There is value in conflict!" Think about conflict in terms of various shades of red. Some disagreements are easier to resolve than others. When they are about opinions or values that are important to someone a compromise is more difficult to reach. Ask yourself if “winning” the argument (being right) is worth the risk of creating tension between you and possibly damaging the relationship. Remember that only 10% of the energy that comes up in an argument is caused by whatever was just said or done. The other 90% of the energy is caused by an old, unresolved issue. Ask yourself if this is the right time to address the old hurt. Marianne is a Certified Relationship Coach who focuses on helping people who are going through significant life transitions – retirement, empty-nest, single again in mid-life. She assists singles and couples build and maintain healthy and fulfilling relationships.